A day trip to discover estates nestled in Geneva countryside and working according to biodynamic farming. Les Vins Célestes will bring you to two passionate and engaging winemakers. 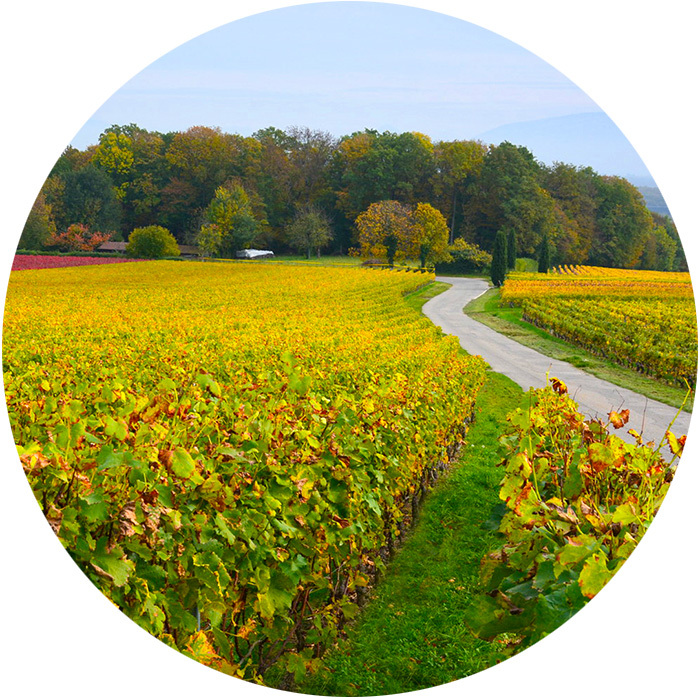 To discover or re-discover Geneva wines the closest to the nature. Visit of vineyard to better understand how a terroir is shaped (environment, biodiversity, geology), the cellar (to discover unexpected way of crafting wines!) and finally, discover consequences of all above during the wine tasting. Make sure you have appropriate shoes to go in the vineyard. The winemaker will comment the tasting and will explain his choices to craft wines that reflect his terroir and personality. Lunch time will take place at the estate or as a “vigneron picnic” in the vineyard with local craft foods.